The web is a giant network. There are many things happen in the backend when you type a domain name (website address) on the browser’s address bar and hit enter. One of the first things is that your browser will check the mapping on your computer’s hosts file. In this article, let us explore more on hosts file, where you can find, how to edit and how to use it properly for different reasons. Related: What is IP address and formats of IP addresses? 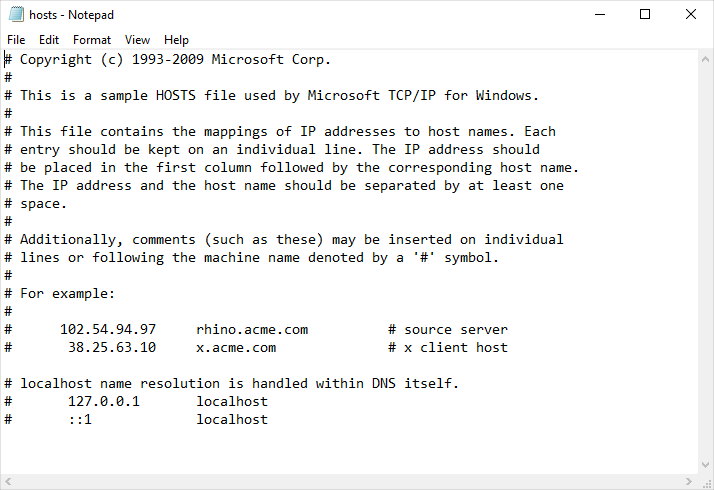 A hosts file is a computer system file that maps human-friendly hostnames (domain names) to their IP address. It uses IP address in IPv4 or IPv6 format to resolve the hostname and the browser can quickly connect to the hosting server. The hosts file is a text file and you can edit it using a text editor such as Notepad. Generally hosts file is hidden and does not have any extension. You can define the mapping of websites to particular IP addresses. You need to have administrator access to edit hosts file on your computer. On hosts file, you need to maintain all variations of website addresses like http, https, www and without www versions. Between IP and hostname, you can use either space or tab. Use # at the start to enter comment or to make an entry invalid. Where to Find Hosts File in Windows 10? By default, you can find Windows 10 hosts file using the path C:\Windows\System32\drivers\etc\hosts. 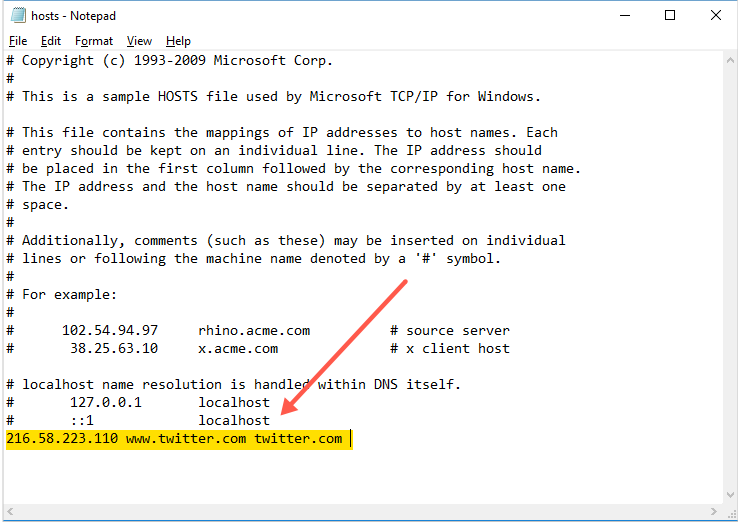 To open the file, right-click “hosts” and open with a text editor like Notepad or Notepad++. 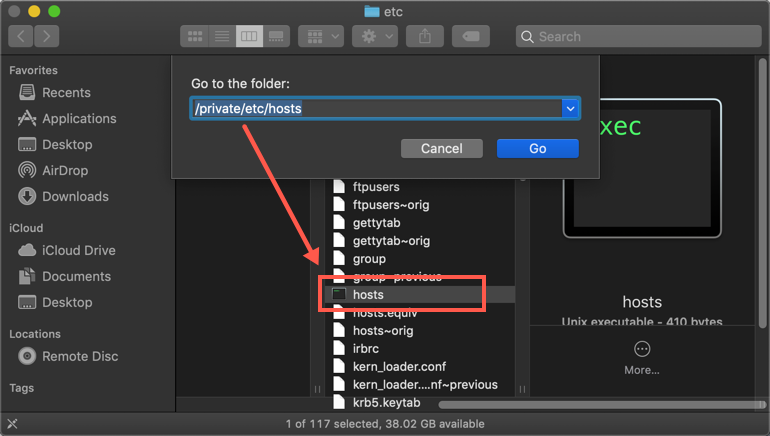 Where to Find Hosts File in Mac? Follow the below instructions on macOS to find hosts file. Go to Finder and press “Shift + Command + G” keys to open “Go to Folder…” option. Type “/private/etc/hosts” and click “Go” button. You will see the hosts file’s location. 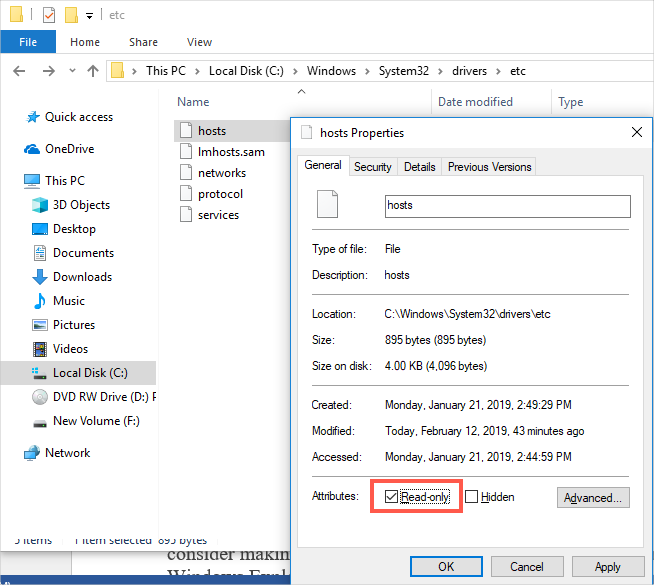 How to Modify Hosts File in Windows 10? Search for “Notepad” on the Windows search box. Right click “Notepad from the results and select the “Run as administrator”. Browse through the above path to locate the hosts file, select “hosts” and click the “Open” button. You can make changes at the end of the text and save the file. The changes will take effect immediately. 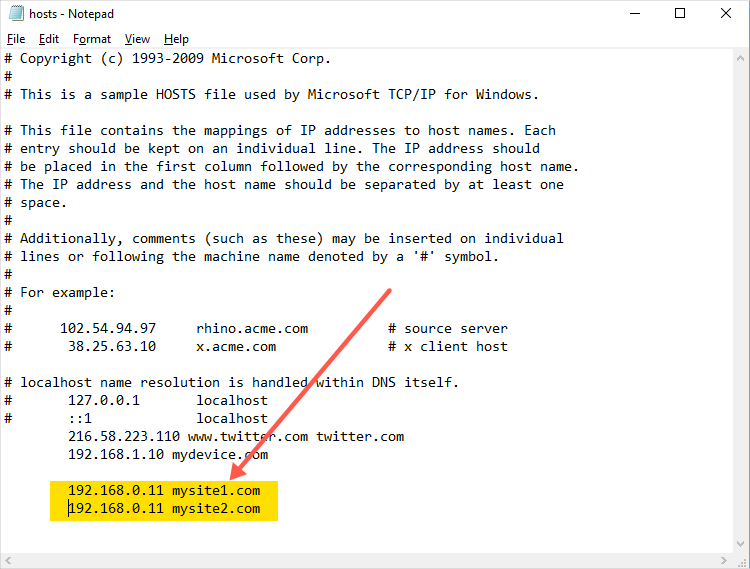 You can modify the Windows hosts file for different reasons as listed below. How to Use Modify File in Mac? In order to edit hosts file on Mac, you need to open Terminal app. Type “sudo nano /private/etc/hosts” and hit enter. You will see the hosts file opens within Terminal app. Use keyboard keys to move the cursor to the last line and start entering your details. When done, press “Command + X” keys to quit the editor. Press Y to save your changes and then hit enter to return to Terminal app. While the DNS remains the standard domain name resolution service over the internet, the hosts file overrides the DNS servers. Therefore, you can use the hosts file for various reasons including redirecting or blocking websites, creating local domains and sites shortcuts among other purposes. To block any site from hosts file, you only need to map the hostname to the localhost IP (127.0.0.1) or a full-zero’s IP address (0.0.0.0) followed by the sites domain name. Note: ensure there is a space between the IP address and the hostname and no ‘#’ before the IP as this would deactivate the entry. You can also redirect the website to a particular domain. For example, you may edit the hosts file such that whenever a user tries to access Twitter, they are redirected to the company’s site or any other website. First, you need to know the IP for your target website. 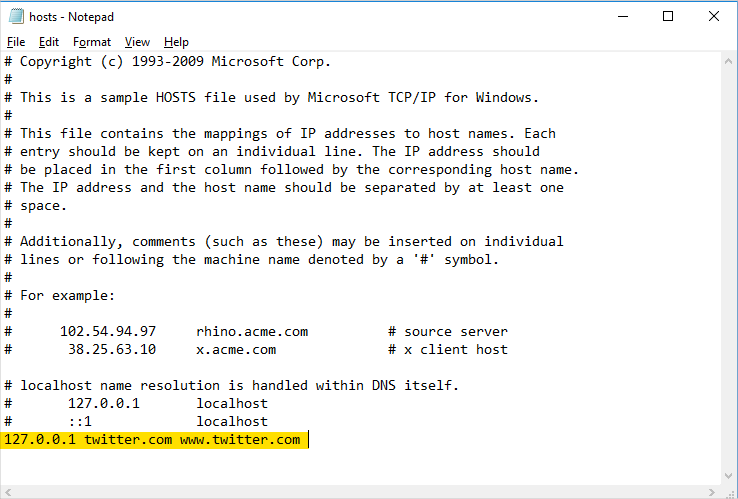 Then use the hosts file to map the IP to Twitter.com. 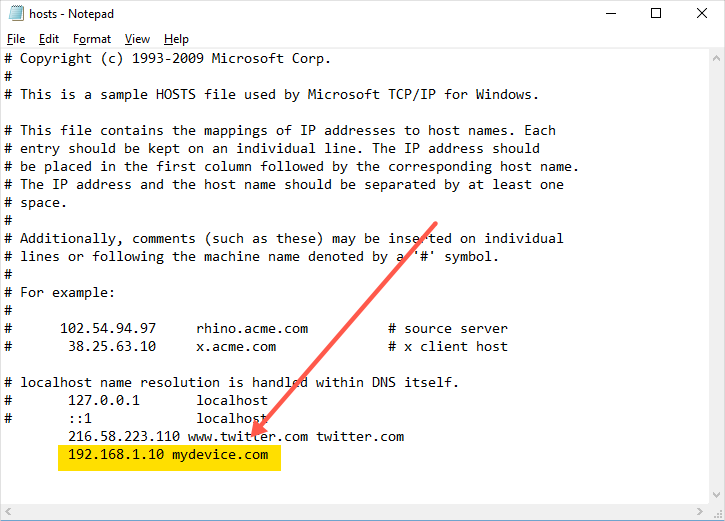 To redirect Twitter to Google.com IP address 216.58.223.110, enter “216.58.223.110 www.twitter.com twitter.com” at the end of the hosts file and save. You can also modify Windows hosts file to create shortcuts for public or internal sites or web services. For instance, if you have a server with an IP, 192.168.1.10 on your network, it will be easier to remember a descriptive name than the IP address. To create a shortcut for the device, you only need to map its IP to your preferred name with a .com extension. Add “192.168.1.10 mydevice.com” and save the file. When you access “mydevice.com” from the browser, the server interface will open. You can create a unique shortcut for any site depending on your preference. When you are running a web development server on your local network, it will be safe to test its functionality before publishing it live. Save the file and try to access the two sites from the browser. If you can access the two sites, then the server is working properly. Thus, you can now deploy the server online. You can block Ad networks or unwanted sites by mapping the site to the localhost IP (127.0.0.1). This will point back to your own PC blocking access to known malicious or Ads sites. Add a site to the hosts file can increase the browsing speed. This is simply because the computer doesn’t need to query DNS server for IP and waste time waiting for a response. Just enter the sites IP address and the domain name separated by a space and save the file. However, this is not advisable as site owners may change the IP from time to time, making it impossible for you to connect to the site. Additionally, blocking adds speeds up the browsing speed as you don’t have to wait for Ads to load. The hosts file can be a target for malicious attack. Attackers can use viruses, PUPs and malware to modify the hosts file, redirecting you to malicious sites or hijack your sites. You can prevent such unauthorized edits by changing the properties for the “hosts” file. Go to “C:\Windows\System32\drivers\etc\”, right-click “hosts” and select “Properties”. Under the “General” tab, tick the “Read-only” checkbox to disable editing. 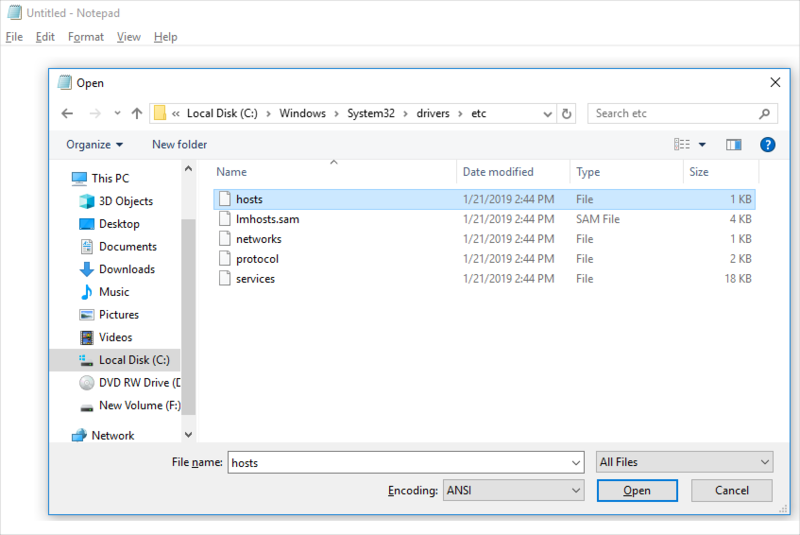 A hosts file is one of the powerful and useful tools for Windows users, allowing you to improve your online experience through the above uses. When editing the hosts file ensure that you have administrative rights.